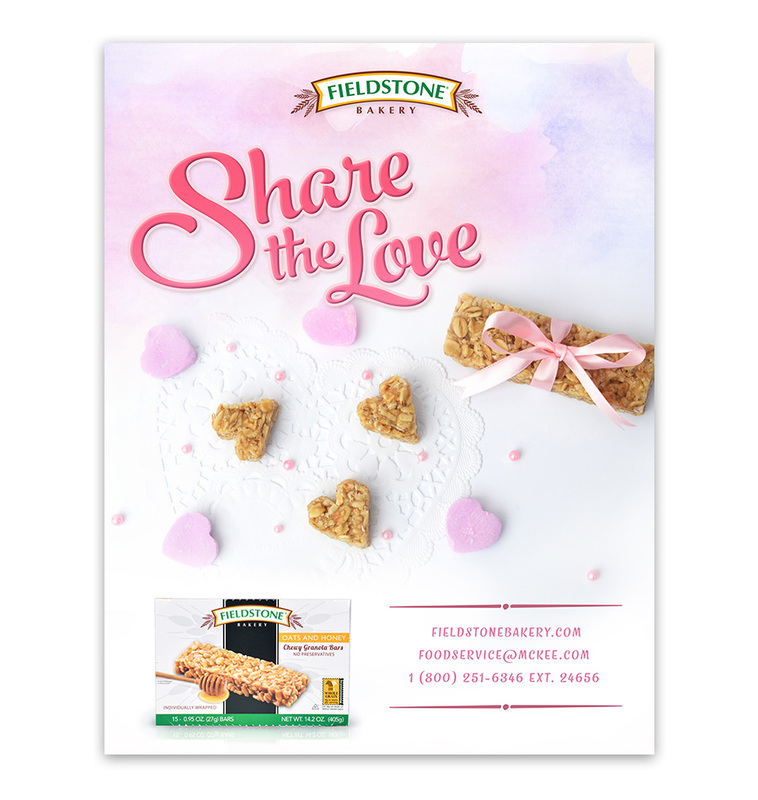 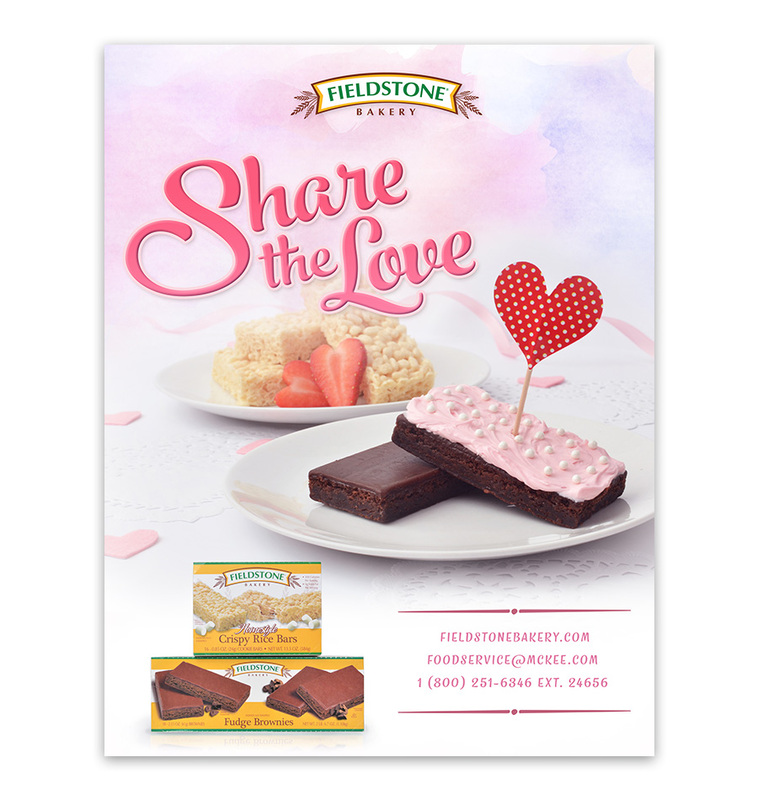 Developed by McKee Foods Corporation (the makers of Little Debbie and Sunbelt Bakery products), Fieldstone Bakery offers hometown bakery snacks for a good value. 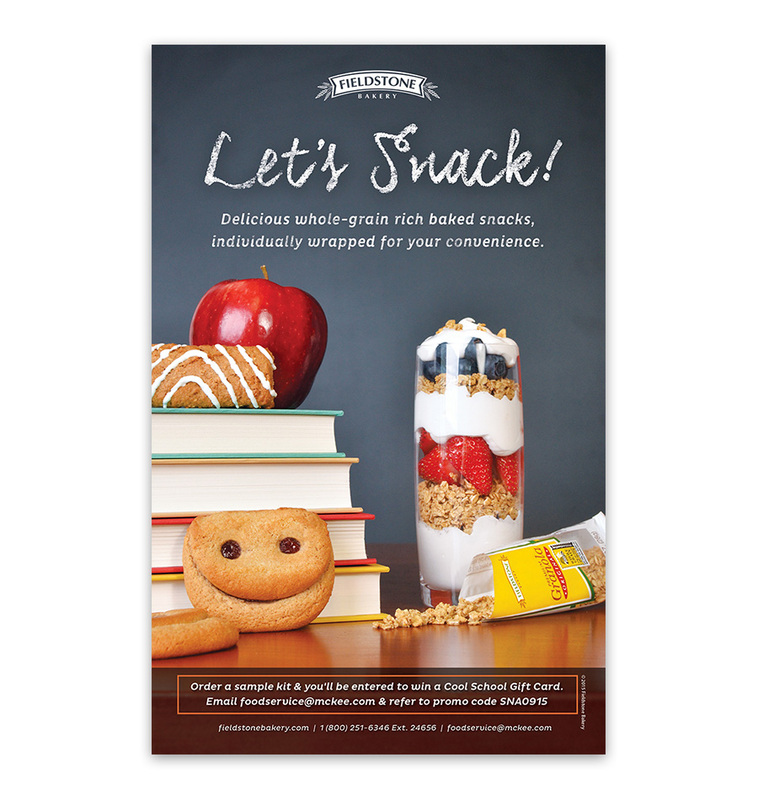 Their products target school cafeterias, healthcare facility meal programs, and dining halls in businesses. 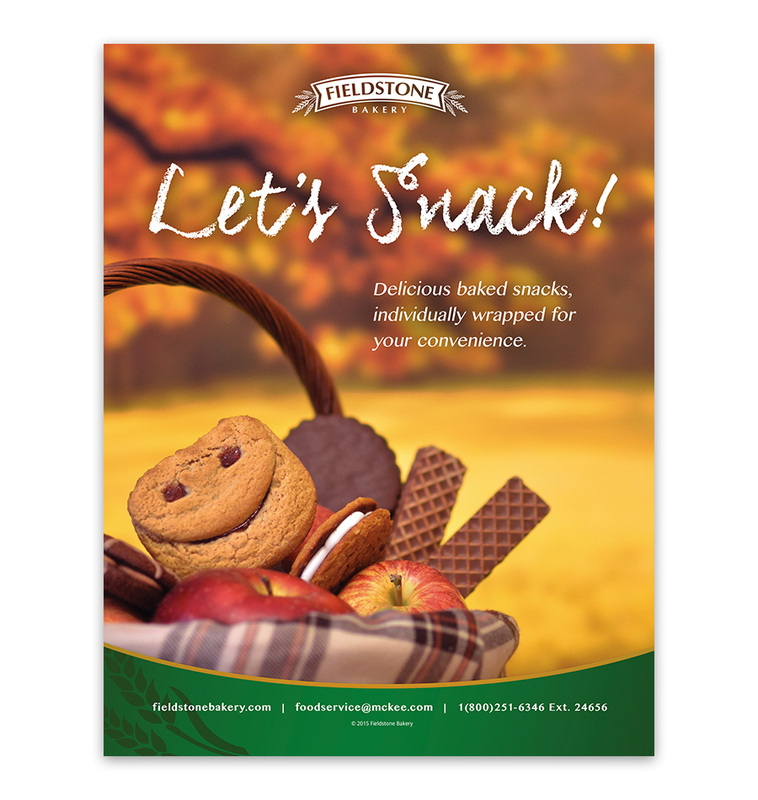 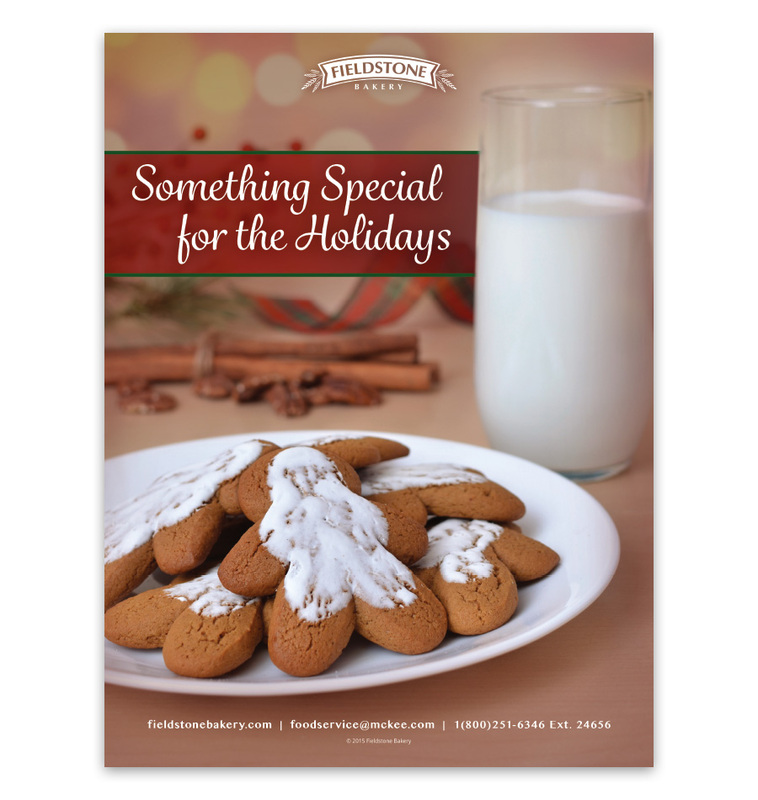 On several occasions, I’ve had the opportunity to create print ads for Fieldstone from start to finish. 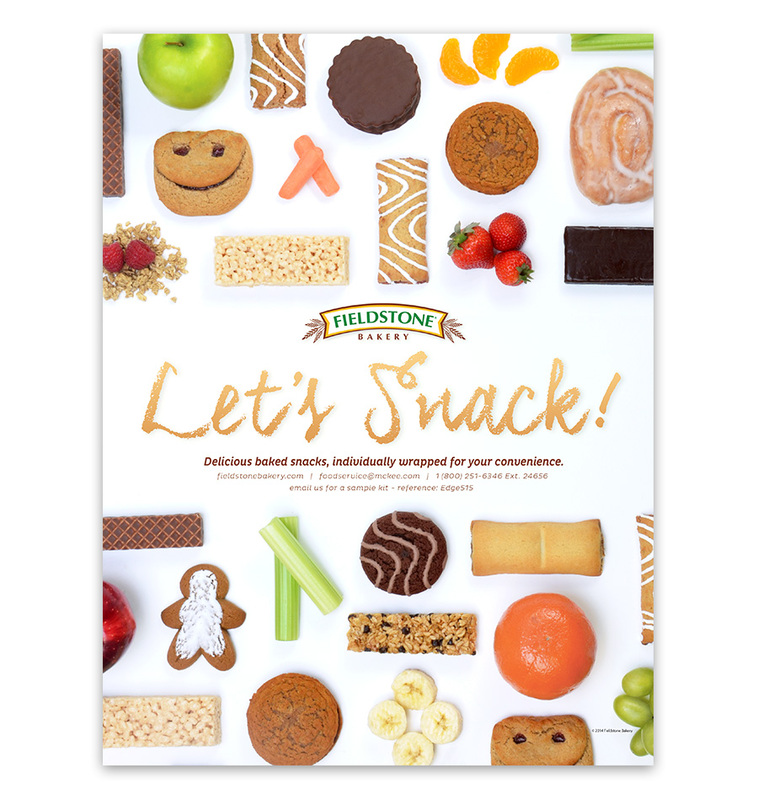 Beginning with a team brainstorming meeting to find the best concept for our particular sales goal and audience, often leading to a photo shoot I staged for our photographer Steven Stiefel to capture, and ending in my post-production photo refinements and the addition of text and other necessary ad elements.